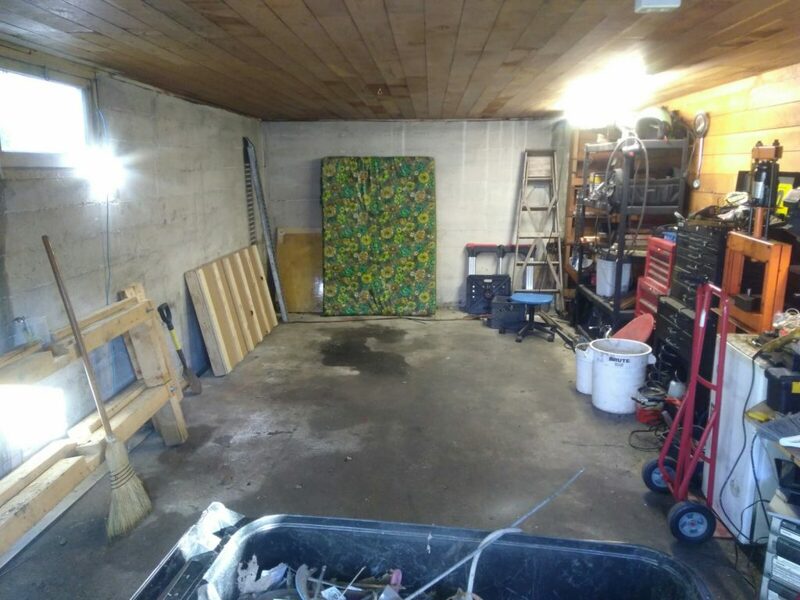 I had to close my scooter shop and reconfigure the garage to get the hull in there. It was quite the ordeal, but I managed to get this done the middle of January. 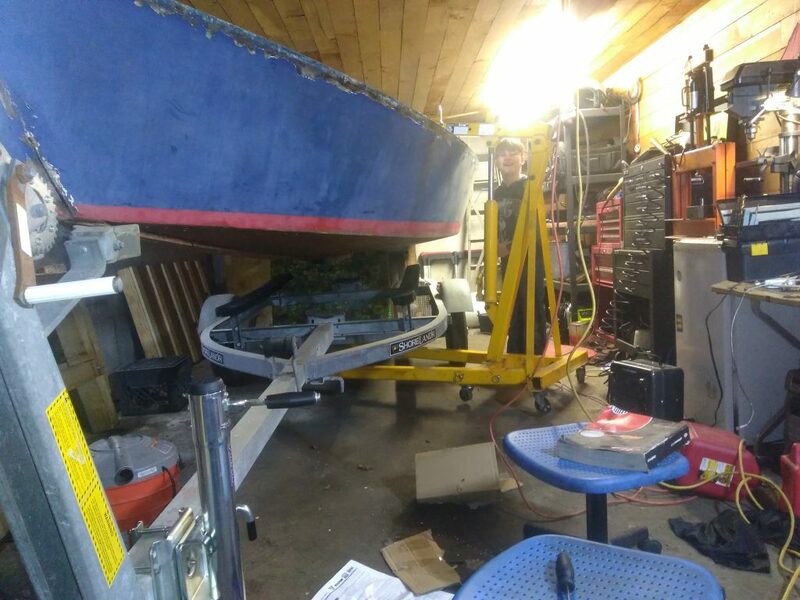 The next step was to move the boat in, and to lift it off the trailer. 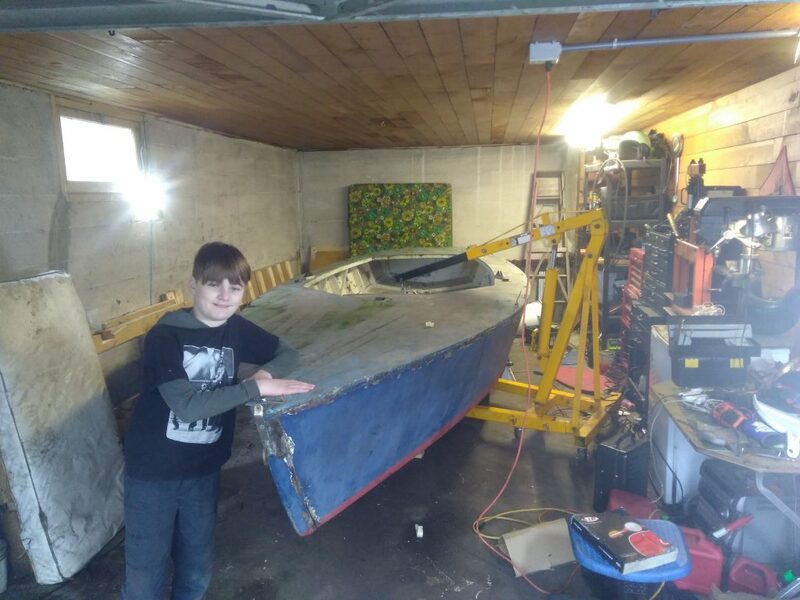 It’s amazing how much bigger a boat gets when you get it indoors. I had decided to pull the boat from the trailer and crib it up on blocks to increase access and to get the boat better supported, as it had been put on the trailer a little out of position. 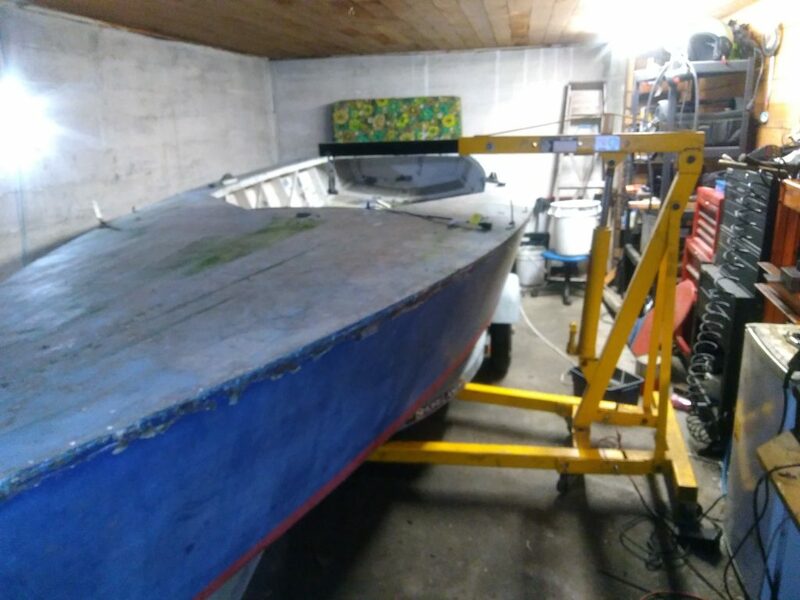 This had lead to a few cracked ribs and i wanted to get the boat back into the normal resting shape before attempting that fix. My problem is i only have about 8 feet of overhead clearance in my shop, no exposed beams, and I rent. so I couldn’t use the building to hoist the boat. i thought about trying to lift the stern then slide the trailer out, but decided i didn’t want to load the hull and flex it with it in the state it was in. I considered getting a bunch of guys over and lifting it. 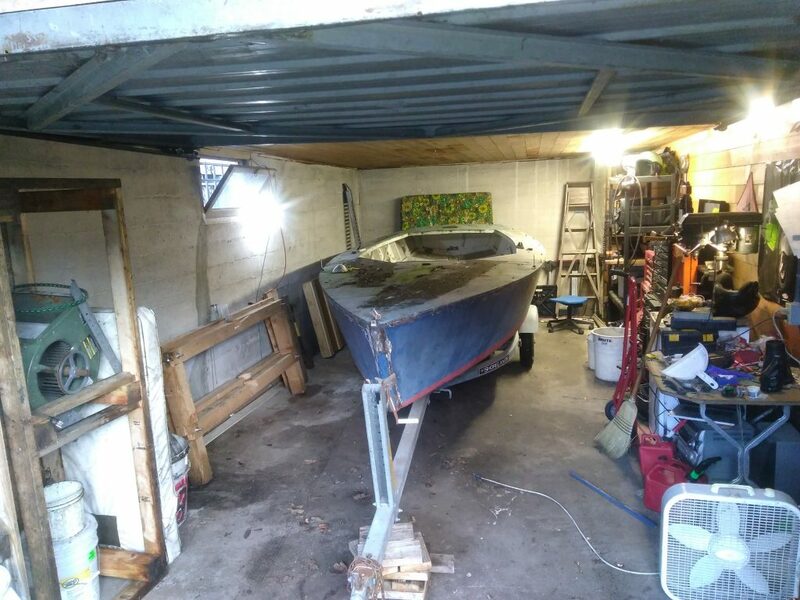 the boat’s minimum class weight is 700 lbs, and it is missing the rig, benches, and centerboard, so it’d be doable with 5-6 people. However, I don’t want to have to get a crew over every time I want to adjust it on the blocks. It’s an engine hoist off of craigslist. I rigged some dinghy control down thru the centerboard trunk to two ends of a 2×4 and lifted it off the trailer. My son helped me hoist it up into the air. Here he is holding the bow steady after I got the trailer out from under it and built the cribs. And here it is lowered down onto the cribs. After that, I added a few jacks around the edges to stabilize it, and it was good to go. 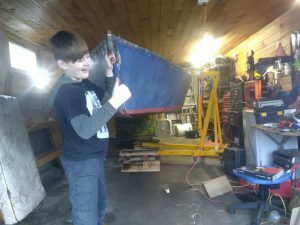 I have some more to post in the next few days on the actual work I’ve been doing on the hull and the newly acquired mast. hopefully to be posted i na few days.